It would appear from the recent DoPT advertisement inviting applications to fill vacancies in the Central Information Commission, that the central government is determined to effect the controversial 2018 amendments proposed to the Right to Information Act of 2005. A perusal of the advertisement dated July 26, pertaining to the appointment of Information Commissioners in the CIC, brings to light the stark contrast with the 2016 advertisement issued in respect of the same posts - while the earlier notification specified that the Information Commissioner so appointed shall hold office for 5 years or till the age of 65 years, whichever is earlier, and that the remuneration payable to the incumbent shall be same as that of the Election Commissioner, the conditions of salary and tenure are conspicuous only by the silence of the 2018 advertisement in that behalf. Another questionable feature of the 2018 advertisement is that the persons who had earlier applied in response to the older advertisement have been required to apply afresh. This was objected to on Friday by Advocate Prashant Bhushan before the Supreme Court, as a bench of Justices A. K. Sikri and Ashok Bhushan heard a PIL by RTI activist Anjali Bhardwaj for the expeditious filling up of vacancies in the Central and State Information Commissions. The bench has required the ASG Pinky Anand to state of affidavit the reason why the appointments as per the 2016 advertisement did not come through. The RTI (Amendment) Bill of 2018 seeks to amend section 13 and 16 of the principal act, which deal with the salaries and allowances, tenure and other terms of service of the Chief Information Commissioners and the Information Commissioners of the CIC and the State Information Commissions respectively. 65 years, whichever is earlier, the proposed amendment makes the same subject to the discretion of the Central government. Further, Sub-section (5) of section 13 of the RTI Act envisages the remuneration of the Chief Information Commissioner and Information Commissioners to be at par with that of the Chief Election Commissioner and the Election Commissioners respectively. Similarly, sub-section (5) of Section 16 of the Act stipulates that the salaries and allowances and other terms and conditions of service of the State Chief Information Commissioner and State Information Commissioners shall be the same as that of the EC and the Chief Secretary to the State Government, respectively. However, the amendment leaves the pay and conditions of service of the Commissioners, interestingly even those of the State Information Commissions, at the mercy of the Central government. It may be noted that the 2018 amendment bill clarifies that its provisions shall not apply to the existing Commissioners and that the remuneration and conditions of service of even the new appointees shall not be varied to their disadvantage after their appointment. The Central Government’s move to amend the Right to Information Act by introducing an amendment bill in the monsoon session of Parliament (which commenced from July 18) had not gone down well with RTI activists. It is widely felt that the proposed amendments are intended to clip the wings of Information Commissioners and to undermine their independence and autonomy. Amidst stiff opposition, the government has deferred the tabling of the Bill, though not withdrawn the same. It is also the complaint that the Central Government kept the proposed amendments a secret, denying the opportunity of public consultation. The public had no clue about the amendment move until the ‘list of business’ for the monsoon session of Lok Sabha was published. 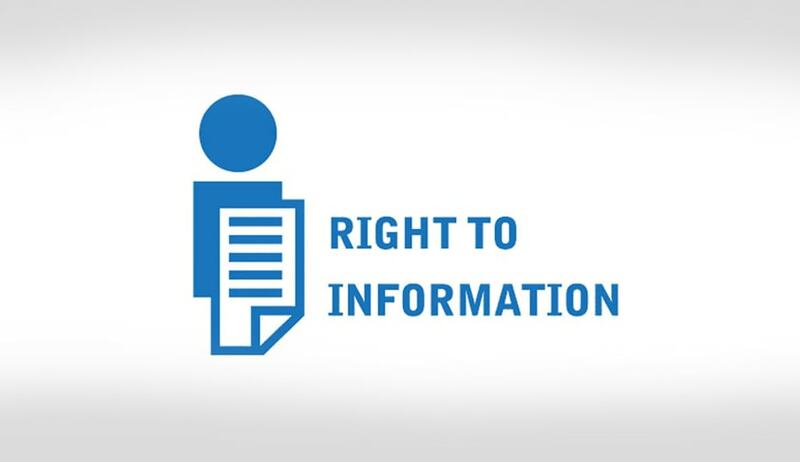 In response to an RTI application, the DoPT had confirmed that amendments to the Right to Information Act, 2005 were being considered but had not reached finality. It, however, had refused to disclose any further details, relying on Section 8(1)(i) of the Act, which exempts from disclosure cabinet papers, including records of deliberations of the Council of Ministers, Secretaries and other officers. The contents of the amendment bill came into public domain only when Ms. Bharadwaj obtained a copy, and posted the same on twitter. After months of protests led by several RTI activists against the Right to Information (Amendment) Bill, 2018, last week, a voice of dissent has risen from within the Central Information Commission against the proposed changes to the Right to Information Act. With Chief Information Commissioner R.K. Mathur on leave, Information Commissioner Prof. Mr. Sridhar Acharyulu haswritten to senior-most Commissioner Yashovardhan Azad, highlighting how the Bill is an attempt to dilute the independence of the Information Commissions,according to undue power to the Central government and thereby defeating the very purpose of the 2005 Act, besides affronting the principle of federalism. The letter, marked to all his fellow Commissioners, urges that all of them come together to seek withdrawal of the Bill.